The Rt. Rev. 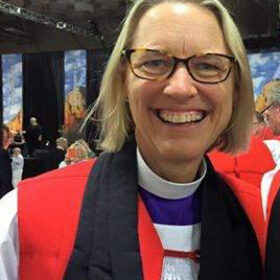 Laura J. Ahrens was elected in 2007 as bishop suffragan and consecrated on June 30, 2007 at Yale's Woolsey Hall in New Haven. She is particularly interested in new initiatives emerging from local communities and helping communities to build new, creative partnerships for mission and for support.